Since 2009, Pittsburgh-based startup Champtires has provided drivers around the country with affordable, high-quality used tries through the company’s website and its West Mifflin, Pa. warehouse. 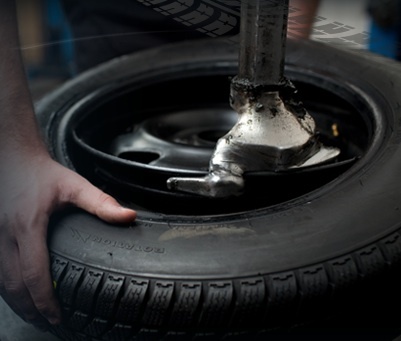 Champtires has expanded its operations at 1130 Lebanon Road (15122) to include tire installation, becoming a one-stop tire shop for customers. Tire installation starts at $19.99/tire, but for the next 30 days, there is a special introductory price of $14.99/tire. The cost includes laser balancing and mounting. During a soft launch, the company installed an average of more than 20 tires/day. Champtires will continue to sell tires to drivers in the continuous 48 states via www.champtires.com and will explore other opportunities to expand storefront locations. In the past year, the company sold approximately 14,000 tires nationally and 12,000 tires locally. Rea, a graduate of the University of Pittsburgh who was an All-American baseball player at Pitt and spent five seasons with the Pittsburgh Pirates minor league teams, got the idea for a used tire business after working in waste management and seeing how many quality tires ended up in landfills. He started Champtires as a strictly online operation in August 2009 and eventually opened a storefront in the Pittsburgh warehouse to respond to customer demand. Champtires currently employs six people in Pittsburgh; two experts were hired to install tires. Rea thinks the expanded operations will lead to more hires and more locations in western Pennsylvania and throughout the United States. Champtires’ Pittsburgh location is open Monday-Friday from 9 a.m. – 6 p.m. EST and Saturday from 9 a.m. – 5 p.m. Tires can also be purchased 24/7 through Champtires.com. For more information on Champtires, visit http://champtires.com/. UPDATE: Champtires opens second Pittsburgh location! Are your tires ready for snow, ice and cold weather?